These files contain information relating to the campaign. Rules for the new cantrip Hornung's Guess. The document the party found in the ruins of the sorcerer's tower outside Redridge. A translation of the dwarven runes found carved into the wall of the cursed dwarven watchtower. A document found by the party after slaying a band of goblins and their unnatural leader. A document accompanied by four powerful magical tokens. These were given to Fei by an unknown messenger who died after delivering them. A document found by the party after raiding the encampment of some devils outside Silverymoon. 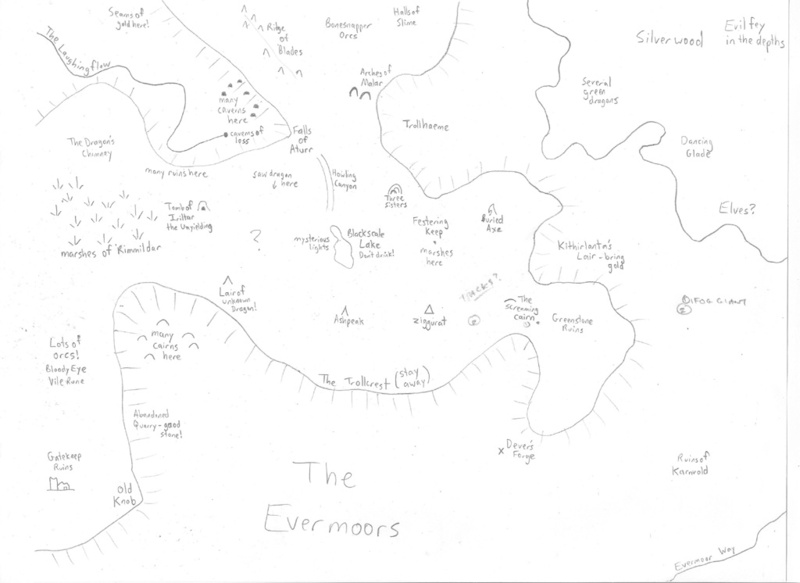 An old map of the southeastern Evermoors provided by Zosker Anthalar. 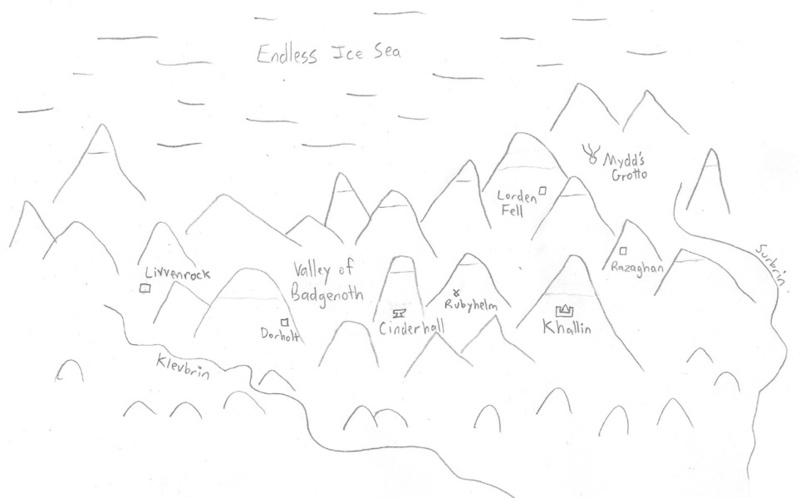 Map of a range of mountains found on the wall of the tomb of a dwarven tomb in the Evermoors.